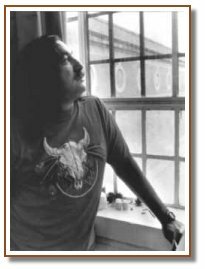 Immortalized in Peter Mathiessen's In The Spirit of Crazy Horse, Leonard Peltier now in his 27th year of confinement at Leavenworth, was wrongfully convicted of the killing of two FBI agents in 1977. Prison Writings, compiled by Peltier during his incarceration, tells the extraordinary story of his life, his impoverished upbringing in the Dakotas, his gradual identification as a leader and Native American warrior during the political upheavals of the late 1960's and early 1970's and the tense battles with the government that led to the "Incident at Oglala" (made into a prize winning movie by Robert Redford). Whether writing about his escape to Canada following Oglala, his capture, or the infamous trial that resulted, Peltier is remarkably philosophical, and even forgiving, his vision a blanket of mercy and compassion. "Doing time creates a demented darkness of my own imagination; doing time does this thing to you. But of course, you don't do time. You do without it. Or rather, time does you. Time is a cannibal that devours the flesh of your years day by day, bite by bite." An excerpt from his new book. Prison Writings: My Life Is My Sun Dance, by Leonard Peltier, was released ... by its publishers at St. Martin's Press. Leonard Peltier is an American Indian humanitarian, world renowned artist and is well known for his non-violent style of defending Indian rights. Peltier has been called the Nelson Mandela of the America Indian people. The book was written from behind the cold prison bars of Leavenworth. Peltier is serving two life sentences for crimes that FBI agents and other government entities have admitted could not have been done by Peltier. He is considered by Amnesty International and many other humanitarian organizations to be a political prisoner. According to prison officials, Peltier's plight has also attracted the attention of Britain's Queen Elizabeth. In February 1999, the European Parliament approved a resolution calling for Peltier to be freed. France's former First Lady Danielle Mitterand, who is president of the French human rights organization, France Libertes, is calling for the release of Leonard Peltier. The book's editor, Harvey Arden said, "Leonard Peltier's powerful memoir, a Native American spiritual testament, will shake the conscience of the nation...and the world. It's a flaming arrow aimed at the circled wagons of American injustice." Archbishop Desmond Tutu calls it: "A deeply moving and very disturbing story of a gross miscarriage of justice and an eloquent cri de coeur of Native Americans for redress and to be regarded as human beings with inalienable rights guaranteed under the United States Constitution as any other citizens. We pray that it does not fall on deaf ears. America owes it to herself." Copyright 1998 by Crazy Horse Spirit, Inc.
& Arden Editorial Services, L.L.C. The time has come for me to set forth in words my personal testament--not because I'm planning to die, but because I'm planning to live. This is the twenty-third year of my imprisonment for a crime I didn't commit. I'm now fifty-four years old. I've been in here since I was thirty-one. I've been told I have to live out two lifetime sentences plus seven years before I get out of prison in the year Two Thousand and Forty One. By then I'll be ninety-seven. I don't think I'll make it. My life is an extended agony. I feel like I've lived a hundred lifetimes in prison already. But I'm prepared to live thousands more on behalf of my people. If my imprisonment does nothing more than educate an unknowing and uncaring public about the terrible conditions Indian people continue to endure, then my suffering has had--and continues to have--a purpose. My people's struggle to survive inspires my own struggle to survive. Each of us must be a survivor. I acknowledge my inadequacies as a spokesman, my many imperfections as a human being. And yet, as the Elders taught me, speaking out is my first duty, my first obligation to myself and to my people. To speak your mind and heart is Indian Way. In Indian Way, the political and the spiritual are one and the same. You can't believe one thing and do another. What you believe and what you do are the same thing. In Indian Way, if you see your people suffering, helping them is an absolute necessity. It's not a social act of charity or welfare assistance; it's a spiritual act, a holy deed. I know who and what I am. I am an Indian--an Indian who dared to stand up to defend his people. I am an innocent man who never murdered anyone nor wanted to. And, yes, I am a Sun Dancer. That, too, is my identity. If I am to suffer as a symbol of my people, then I suffer proudly. I will never yield. If you, the loved ones of the agents who died at the Jumping Bull property that day, get some salve of satisfaction out of my being here, then at least I can give you that, even though innocent of their blood. I feel your loss as my own. Like you, I suffer that loss every day, every hour. And so does my family. We know that inconsolable grief. We Indians are born, live and die with inconsolable grief. We've shared our common grief for twenty-three years now, your families and mine, so how can we possibly be enemies anymore? Maybe it's with you and with us that the healing can start. You, the agents' families, certainly weren't at fault that day in 1975, any more than my family was, and yet you and they have suffered as much as, even more than, anyone there. It seems it's always the innocent who pay the highest price for injustice. It's seemed that way all my life. To the still-grieving Coler and Williams families I send my prayers if you will have them. I hope you will. They are the prayers of an entire people, not just my own. We have many dead of our own to pray for, and we join our prayers of sorrow to yours. Let our common grief be our bond. I state to you absolutely that, if I could possibly have prevented what happened that day, your menfolk would not have died. I would have died myself before knowingly permitting what happened to happen. And I certainly never pulled the trigger that did it. May the Creator strike me dead this moment if I lie. I cannot see how my being here, torn from my own grandchildren, can possibly mend your loss. I swear to you, I am guilty only of being an Indian. That's why I'm here. Being who I am, being who you are--that's Aboriginal Sin.